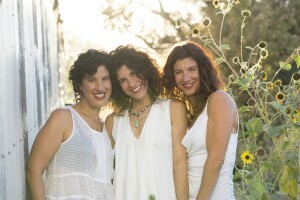 Triplets Jennifer, Jessica and Jill Emich are as close as siblings can be. After college, Jennifer taught English in Costa Rica while Jessica and Jill went to culinary school in San Francisco. But they all came back together in Boulder, Colorado, where they opened a successful bar and restaurant called Trilogy. The high-energy bar provided great food and drink and many late nights. After nine years, the sisters closed the restaurant and started a catering company. Three years later, they moved on to a new adventure and opened their current restaurant, Shine Restaurant & Gathering Place, which offers a relaxed atmosphere and gluten-free food. Jessica, the first born of the triplets, has a master’s degree in holistic nutrition and certification in metabolic typing. She created the 100 percent gluten-free menu that includes good foods that heal your body. Middle sister Jill works on product development, event production and community outreach. Jennifer, the youngest of the three, works on the restaurant’s day-to-day operations. After learning she was gluten intolerant 15 years ago, going gluten free cleared up her psoriasis and body rashes. Together the ladies form the Blissful Sisters. Now they are sharing their way of life with their new cookbook Eat Drink Shine: Inspiration from Our Kitchen, which features all gluten-free recipes, including some Paleo and vegetarian dishes. Gluten-Free Living sat down with Jessica, Jill and Jennifer to discuss their lifestyle and restaurant mission, their favorite ingredients, and why they are called the Blissful Sisters. Amy Leger: The three of you didn’t grow up in Boulder, but all three of you have lived here for a long time. What brought you here? Jessica: Jill and I were living in San Francisco. Jill: Jess was dating a guy who lived in Boulder. Jessica: We were looking for a place to open a restaurant. In San Francisco, it was expensive. We were 23 when we moved here to Boulder and 24 when we opened up our first restaurant. Jill: The guys didn’t work out, but we did! AL: Where does the name Blissful Sisters come from? Jill: We started a catering company after selling our first restaurant, Trilogy. During dinner we came up with words that describe ourselves, and we came up with blissful and sisters. We started Blissful Sisters Catering Company. Jessica: People started to refer to us as the Blissful Sisters. AL: Describe how healthy eating has changed your lives. Jennifer: We didn’t have soda or sugar in our house growing up. It is the same in my cabinet now. When I went gluten free, it cleared up my rashes and helped my digestion. I eat what I like, and I eat whole foods. My energy levels improved. It helped me become more aware about what helps my body. Jill: When I started going about 85 percent gluten free and Paleo, which is high-protein and vegetables, my energy levels went way up. Running restaurants and working a lot, I noticed a huge difference in energy levels, sleep and my overall attitude. I was more awake and more present. Jessica: Chefing for so many years, I noticed 15 years ago people were coming in with allergies and asking for changes in their dishes. This was a little before Jennifer’s gluten intolerance, but around the same time. That’s what led me to get my master’s in nutrition. I want what I am serving to actually be healing for people. It gives my work and my passion more meaning. AL: So why write a book? What makes this cookbook different from others? Jill: We have always wanted to write a cookbook. People have wanted us to write a cookbook for the last 15 years. We wrote this in three to four months. Jessica: It really flowed out of us and felt natural. Jill: Because we owned a restaurant, because Jessica has her master’s in holistic nutrition, because of having gluten free in the family, we have a lot to share. Jessica: We have witnessed a lot of eating. AL: What does watching people eat tell you? Jessica: You can see when some people dig into their food, they are more adventurous. Then some people are tentative or asking about every ingredient, and they are just more careful in life. Some people have an ease around food and they have no problem, but for others it is a struggle to be with food. Jill: It reflects how they relate and how they treat themselves. Jessica: We want to make eating easy and peaceful. Jill: We hear that people are thankful that our restaurant is gluten free. Jennifer: A few weeks ago a customer said she hasn’t been out to eat in three years. She has celiac disease. She came to our restaurant trusting what we are doing. AL: Do you find it rewarding to safely fill the gluten-free niche? Jennifer: Absolutely! I feel so proud! Many people come here and realize that gluten free isn’t tasteless or too dense. We have bagels, donuts, pancakes, all different kinds of breads. Some people don’t realize they are eating gluten free. Jill: They might not care about gluten free, and they don’t have to. Jennifer: It reinforces that gluten free can be delicious. AL: Did you find it challenging to market a gluten-free restaurant? Jessica: We wondered if we should make it 100 percent gluten free. We didn’t want to turn people off. We wanted people to know that everyone is welcome. Jill: Yes. At first we didn’t advertise as being 100 percent gluten free. But now we own it. AL: You talk about good digestion in the book, something many people may not think much about. Why is digestion important to address? Jessica: Some people don’t have digestive problems. But when you are having health problems it should be one of the first things you look at. AL: Do you think people understand how to improve their digestion with food? Jessica: That is where the book comes in. Jill: In the book, there are a lot of simple recipes around fermentation. Soaking grains or nuts for 24 hours, for example, are simple techniques that can have a huge effect on your digestion. Getting hydrated in the morning and exercising can aid in digestion. We believe if you have two glasses of water before coffee, it gets digestion moving and hydrates for the day. Jessica: The bone broth in the book can be really helpful too. AL: Not everyone has time to make fabulous, organic and whole-food dishes. So what are your tips for at home to, at the very least, improve the health benefits of what they are already making? Jill: Soaking the grains can really make a difference hydrating first thing in the morning. And making the bone broths Jessica mentioned. They take minutes to make in the crockpot and freeze and use over time. Jessica: Smoothies are a good one too. It feels good to dose yourself with good stuff in the morning. Jennifer: One of the goals with the book is to offer easy recipes with ingredients people already have. We kept that in mind. People are feeling re-inspired by the recipes here. It doesn’t have to be hard. It really doesn’t. AL: What is your favorite ingredient? Jennifer: I love cauliflower. I think it is so versatile. You can make cauliflower rice or a crust with it. Jill: Cashews. They are the lowest on the glycemic index of any nut. They have a creaminess, when you soak them and puree, they’re like cream. Jessica: Powdered grass-fed gelatin is one of my favorite ingredients because of the powerful health benefits. It is good for hair, nails, skin, joints, ligaments, getting rid of cellulite. You name it, it is good for you. It is the same gelatin that makes bone broths so powerfully healing, but the powdered form can be used in ice pops, smoothies, marshmallows and more. AL: The book has a lot of recipes, but it also has examples of what you three are doing to live a full, healthy life—like exercise and morning routines. Why include these in a cookbook? Jill: It’s a whole lifestyle. It is not just about eating healthy. Exercise boosts your confidence. It’s also important with the way you start your day; to have a consciousness about it because it can affect your entire day. Jennifer: We wanted to include this because people ask all the time what you do in your day, why does your skin look so good. Jessica: People have all kinds of different access points of what inspires them to be healthy. It could be exercise that leads them to get healthier. If you go on a morning walk and change what you’re eating, I think they feed off each other. AL: You have a cookbook, a restaurant and one of the only women-owned, award-winning breweries in the country. What’s next for you? Jill: Product development on the Shine Potions. They are herbal-based tonics and very nourishing. They go well with spirits, too. They are in local grocery stores, liquor stores, bars and restaurants, and they are about to go national. Jessica: We are thinking about another cookbook, too. AL: Your brother has metachromatic leukodystrophy, a genetic disorder. Doctors didn’t think he would live past the age of 25; he’s now 45. How has his role in your family impacted the lives you lead now? Jill: It has impacted us on every level. I have learned about unconditional love, patience and compassion. Jessica: He has an immense amount of patience with himself. Then you self-reflect when you have full physical capability, it puts things into perspective. AL: Working with your sisters, do you ever get annoyed with one another? Jessica: Oh, yes. We push each other’s buttons. But at the end of the day the love is so deep, the sisterhood always comes first. When it comes to business, we will work it out. Amy Leger is the family editor for Gluten-Free Living. She also blogs at her website, thesavvyceliac.com.